cc-tapis | The soft poetry of randomness — Studiopepe. 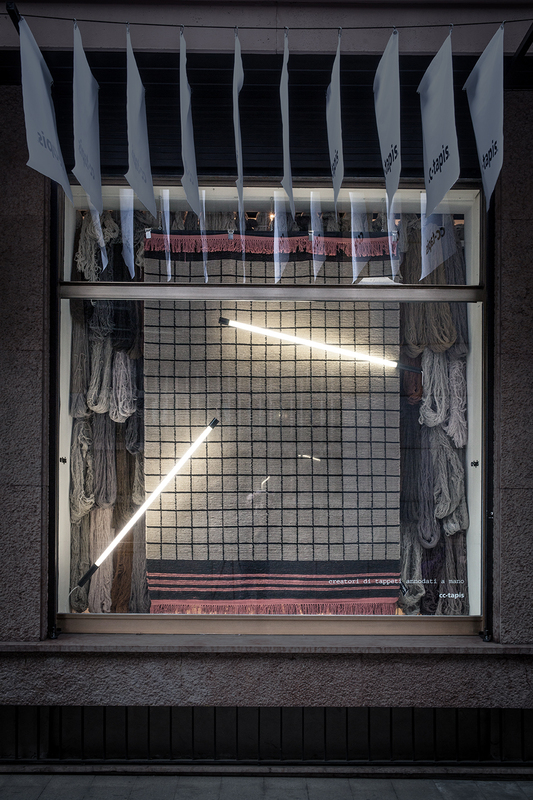 cc-tapis presents a collection of handmade carpets designed by Studiopepe in the site-specific installation The Soft Poetry of Randomness created on the occasion of Salone del Mobile. The installation stages the fascinating balance between materiality and craftmanship. The Soft Poetry of Randomness synaesthetically explores wool as a raw yet cosy material that always amaze for its versatility and beauty during every step of the manufacturing process.